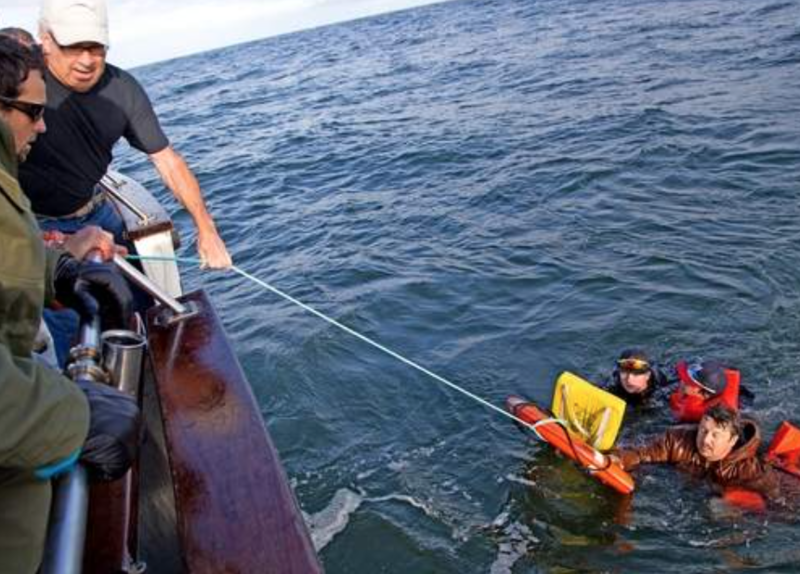 Passengers and crew of the Ilwaco charter boat Pacific Dream came to the rescue after a man and two teenagers were thrown in the cold water of the Pacific when their small pleasure craft, the Aggi K, sank off Cape Disappointment. Glare made it difficult to see anything on the surface of the water, but as they neared the area of the sinking, passengers and crew could hear frantic calls for help. They were soon able to hone in on the shouts and retrieved all three people, who were all wearing life jackets, out of the water.